As architectural photographers we tend to spend quite a lot of time in built up places. 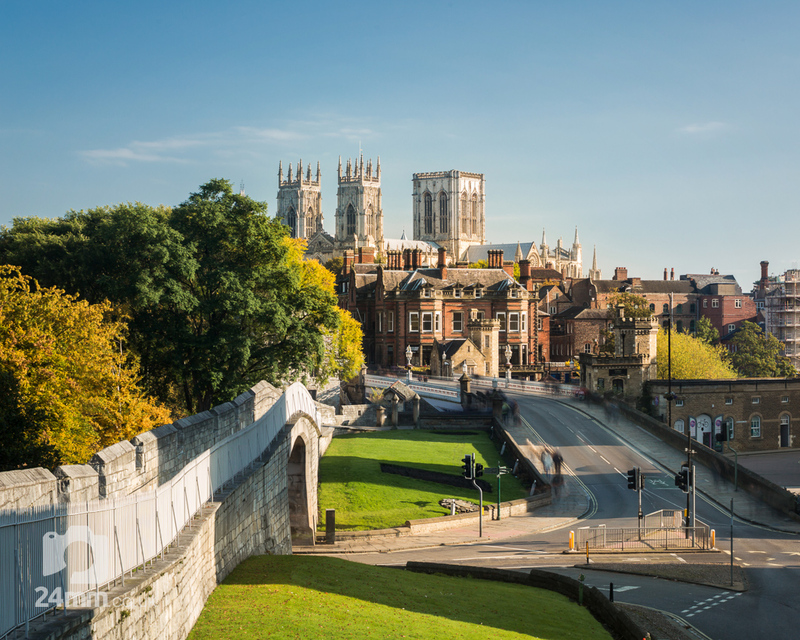 We regularly capture photographs of York city centre as we travel around we’ve put together some of our personal favourites from over the last year or so. 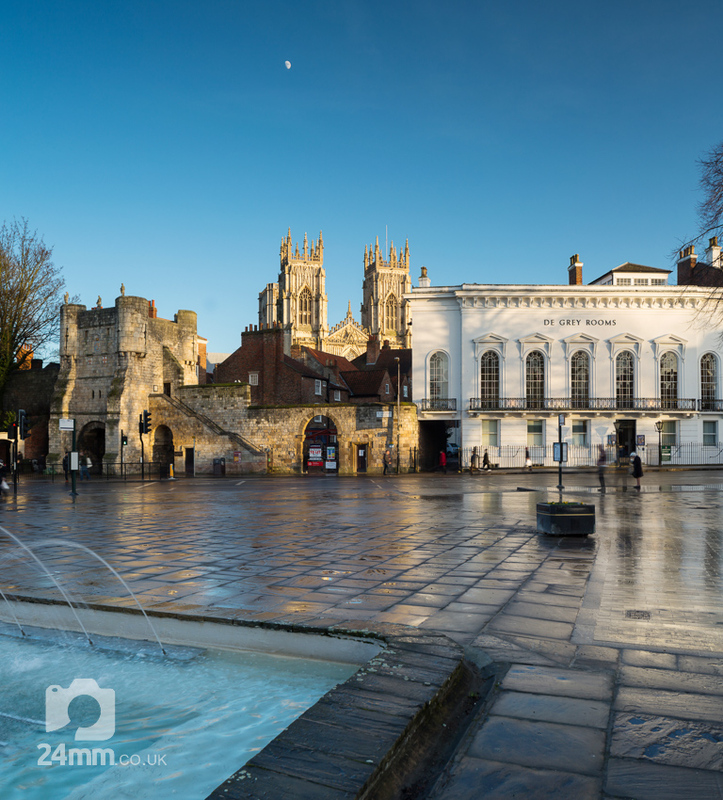 We’re far from the only people that photographs York, as you’ll notice from the number of camera’s you’ll see when wondering around the city centre yourself. We’ve got some classic views and tried to put our spin on them with unusual light or with lengthened shutter speeds. A recent rain shower, provided some nice reflections of the pavement while the last rays of sunshine from the setting sun contrasted the sandstone buildings beautifully with the clear blue sky. A half moon above the Minsters’ towers completed the image. Early Autumn, just as the leaves were beginning to turn. A windless day and some recent rain in the Yorkshire dales provided a gentle flow to the River Ouse which is shown by the slightly lengthened shutter speed. A four second exposure and an uncommon gap in the traffic allowed us to capture this view looking very much more tranquil than usual. 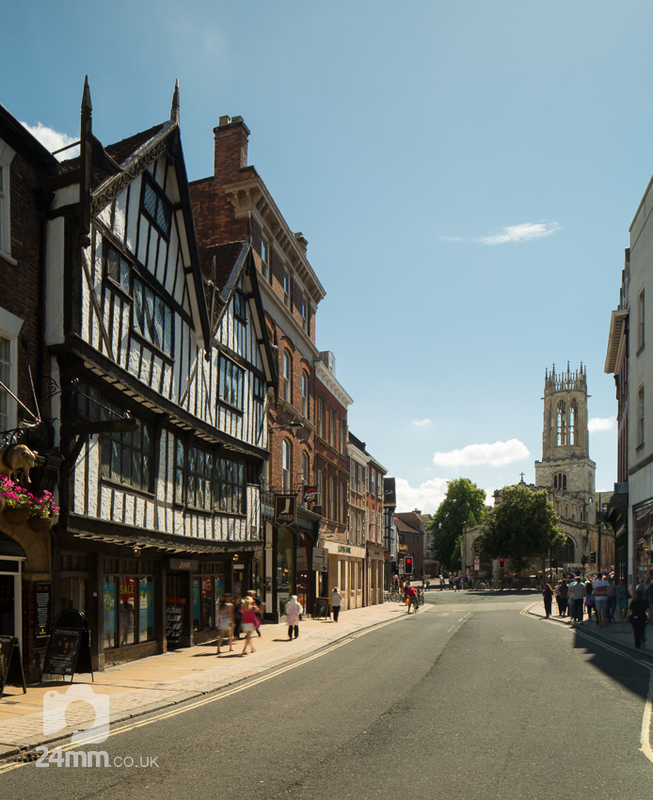 The bowed timber of the black and white timber framed building on the left is picked up by the sun shining down Pavement. All Saints Pavement Church completes the view. 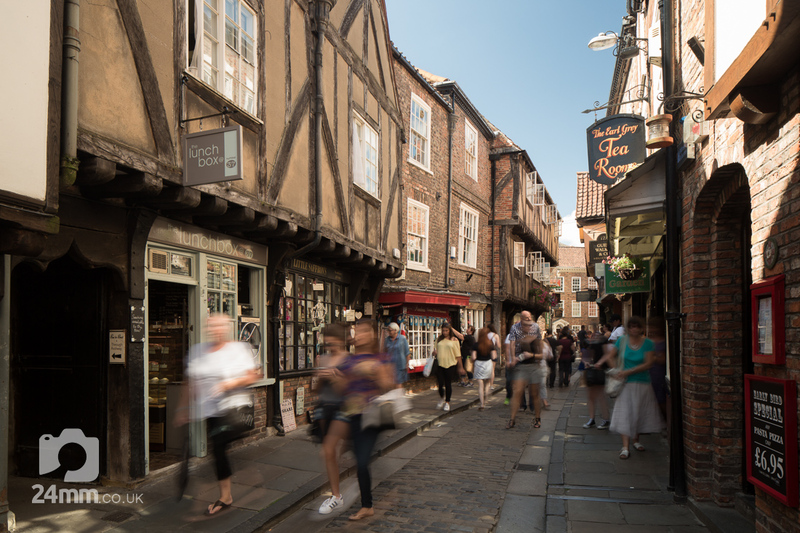 The Shambles is probably York’s most famous street. Here, on one of the hottest days of the year the closely packed buildings provided some welcome shade for shoppers. 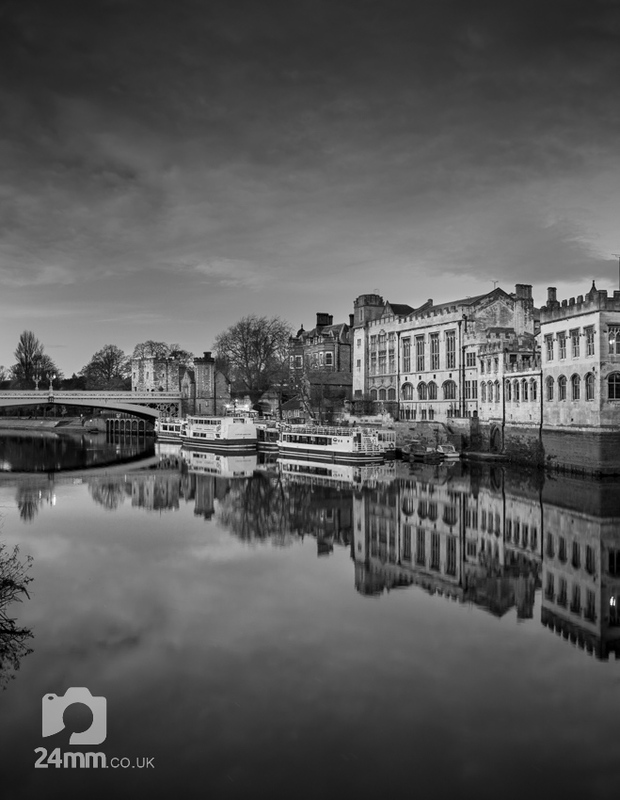 The River Ouse, which flows through the heart of York always tends to keep a few ripples, thanks to the hard vertical walls that contain it. On this particularly still night, a lack of rain meant very little flow from the river, which combined with not a breath of wind meant the river was giving some great reflections. Parliament street in the city centre, is transformed into a Christmas market over the festive period. 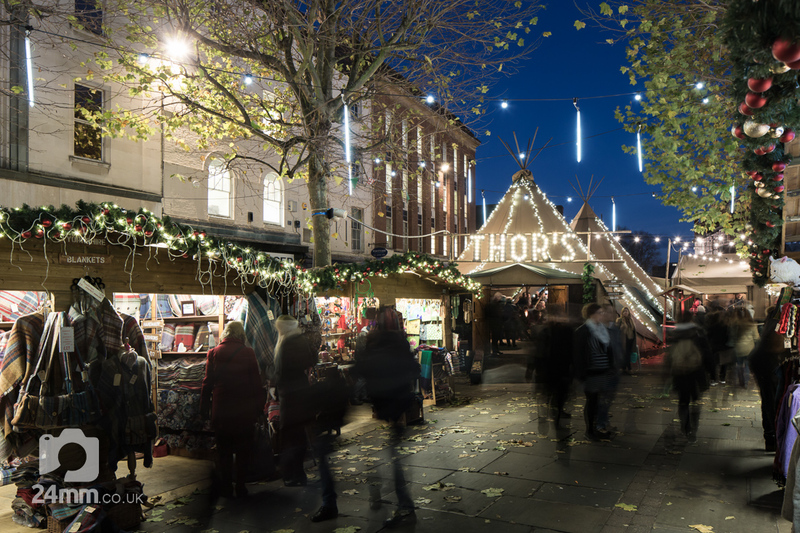 Thor’s Tipi at the end, provides a great centre piece to the city’s food and drink offering. 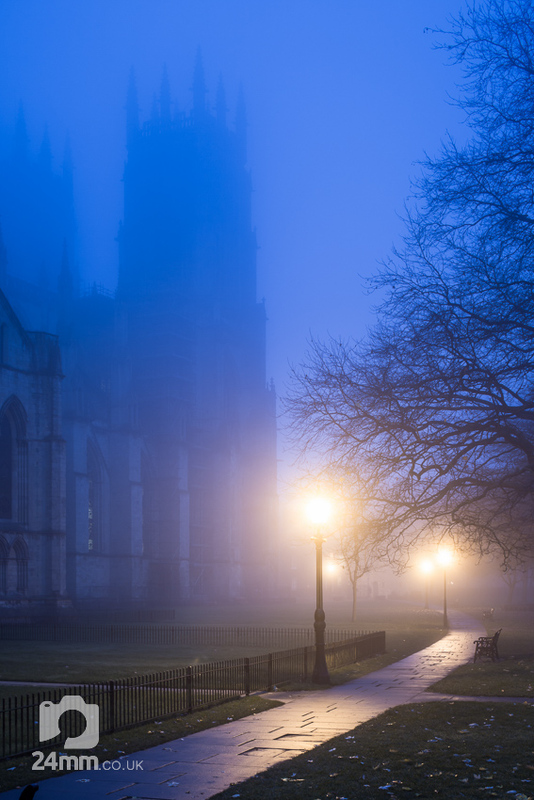 Some great, atmospheric mist had shrowded York for most of the day. At dusk the blue-ing of the sky contrasted nicely with the warm glow from the street lamps resulting a lovely colour contrast. The gentleman was photographing a roman column but I liked how it made him look like he had missed the star attraction of York Minster behind him. 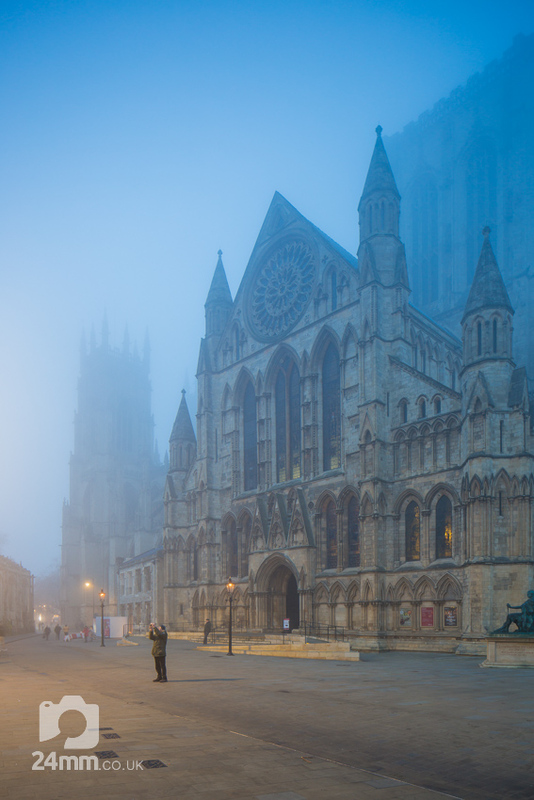 Another image from the same evening, on the other side of the Minster. Photographs of York are generally quite atmospheric, but as night fell these lanterns created a real eerie feel round in the shadow of the Minsters towers. 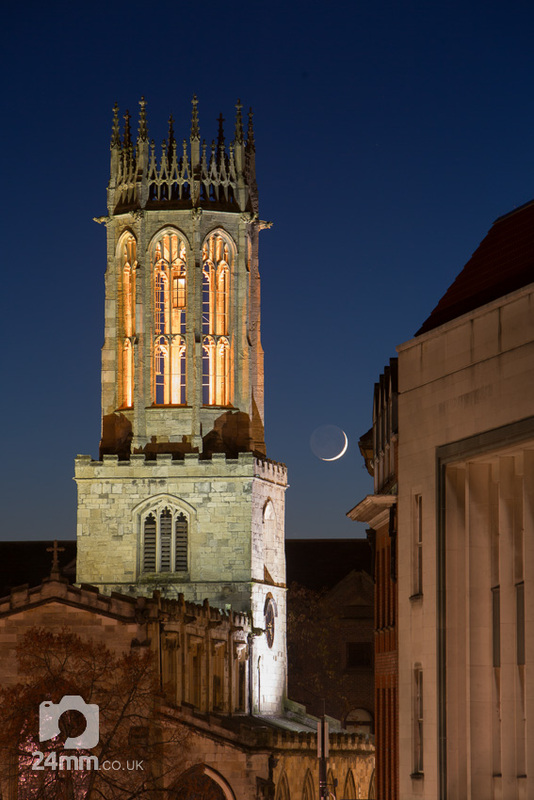 A cloudless dusk and a new moon provide the perfect backdrop to the bell tower of All Saints Pavement. 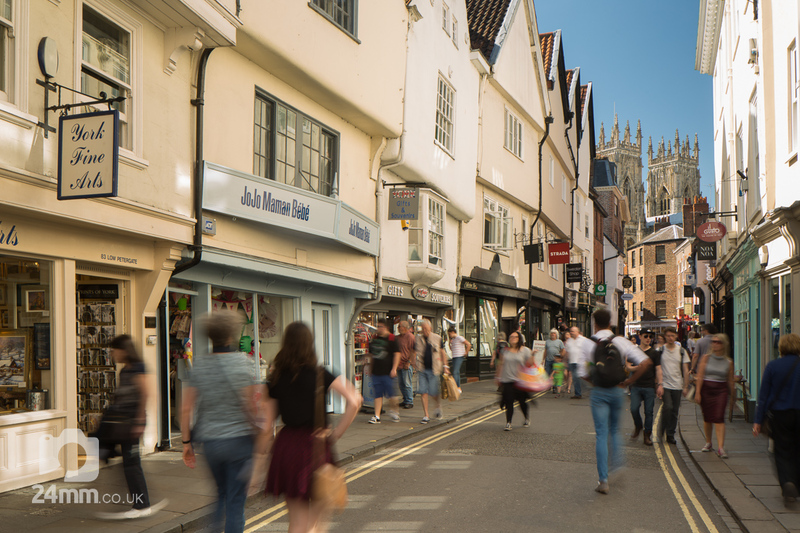 York’s most famous street has likely seen much romance over the years. 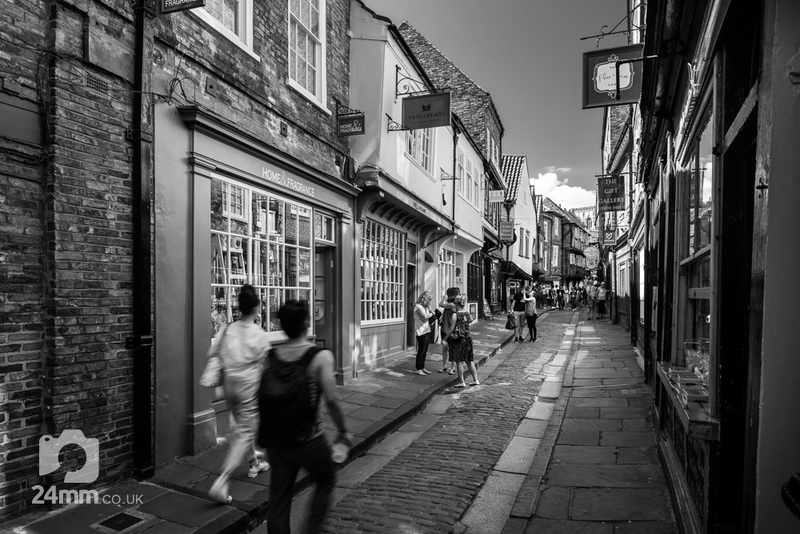 This couple make the most of a relatively quiet Shambles.